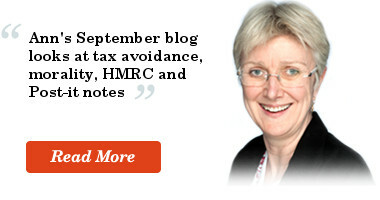 Ann provides clear and practical advice on how UK tax affects businesses and business transactions. Ann has particular expertise in UK tax as it applies to property matters and, as a solicitor, understands the property law aspects too. Ann is a recognised VAT expert and can resolve your VAT problems, leaving you free to concentrate on more productive things. Monsieur Gabelle in Dickens’ A Tale of Two Cities is named for his occupation, tax-collector. ‘Gabelle’ originally referred to a general form of taxation, but, in the years before the French Revolution, it became associated with a punitive tax on salt. During the Revolution, thirty-two collectors of the salt tax were guillotined.